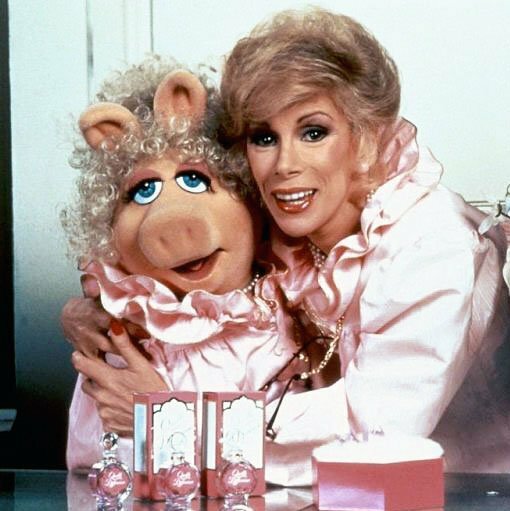 Miss Piggy paid tribute to Joan Rivers despite their longstanding feud originating with their co-starring roles in 1984’s The Muppets Take Manhattan. Earlier this year, QVC posted a video documenting the feud between Miss Piggy and Joan Rivers. Joan Rivers died on September 4 at Mount Sinai Hospital, where she had been taken after losing consciousness during an outpatient surgery. She was 81. Joan Rivers rose to prominence in a comedy world dominated by men, using Can we talk? as her catch phrase, which usually preceded a good-natured skewering.